Having lived in Moonta for half a year, we've met some awesome people, gained valuable experiences, and have gone on beautiful adventures. 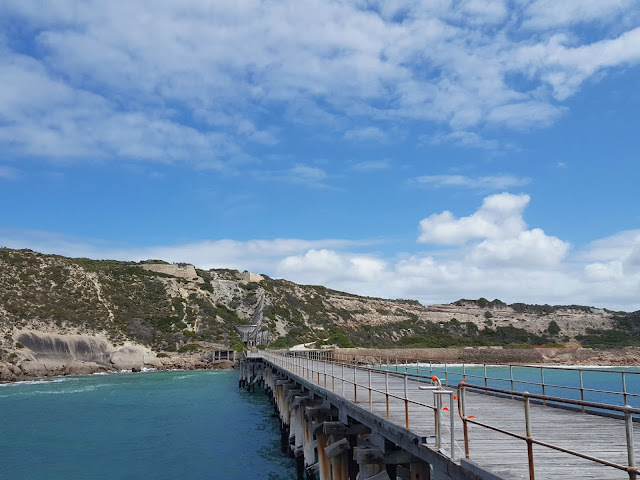 Here's a few of the many wonderful things you can do in the Yorke Peninsula if you're looking to spend your holiday in this quaint destination. Never knew you could rake crabs? Neither did I. We bought our crab rake at the fish and chips store by the beach at Port Hughes for $15. If you think about it, that was a good investment since we've caught several crabs that could have sold for much more than $15. But into our tummies they went! This activity calls for exactly what it sounds like. You simply use the rake to sweep the crab up. We walked into the shallow water when it was low tide, kept our eyes peeled, went to rocky areas where crab could be hiding, and quickly swept the crabs up one by one when we spotted them. You have to be REALLY quick because they can get away and hide so fast, it's actually quite amazing to watch. Not too keen on running after crab in the water? Then you might prefer to keep yourself safe and dry on the jetty and simply throw your net in the water. Use some bait (the staff in the store by the jetty can help you with this) and set it up in your net and you're good to go. Throw the net in the water and pull it up when you spot crabs in it. The best time to go crabbing is when the water is calm and crystal clear. Also, we noticed that there is usually more catch very early in the morning or late in the afternoon. Make sure you measure each crab and throw the ones that are too small back into the water. These are blue swimmer crabs. They turn red when cooked. I say this because my friend and my mom both thought that crabs are always red. 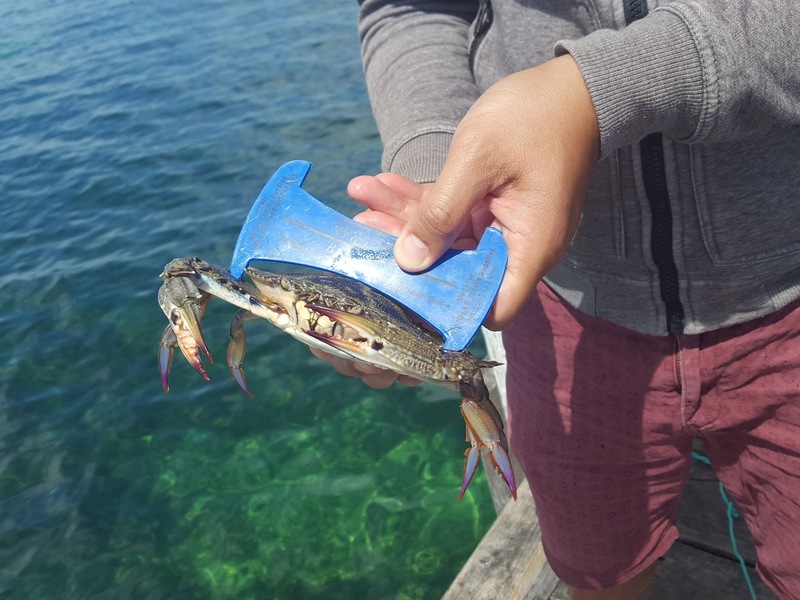 In fact, it was quite entertaining when my friend spotted a blue swimmer crab raising its claw at her! Measuring crab at Moonta Bay jetty. My friends had an epic experience of kayaking at Port Vincent and thinking there were sharks swimming next to their kayak only to realize they were dolphins! We, however, rented out kayaks ($20/hour for single kayaks and $30/hour for double kayaks) at Wallaroo Marina Apartments. This entailed dragging the very heavy kayaks towards the water - this was so much further and so much more tiring than we expected - and dragging them back to return them after using. Still, it was fun and so worth it! We've actually been fishing and squidding at Moonta Bay and Port Hughes but I hear people love fishing at Wallaroo. Fishing gear can range from cheap to extremely expensive and for beginners like us, cheap is good. Salt and pepper squid, anyone? There are tons of campsites in the Yorke Peninsula so take your pick! We chose to do our first camping adventure at Innes National Park in Marion Bay. Thank you, Yorke Peninsula. It's been a pleasure to be a "local" for 6 months. But I think I left my heart in Adelaide, which is really only 2 hours away. I'm sure I'll be seeing you again for more adventures! Wow! This looks like an amazing place to visit! Gostei das dicas, das fotos e adoraria poder conhecer. Looks so rad! Thanks for sharing love!!! Wow! How cool! Just super! This is quite an adventure, it sounds fun and exciting! You seem to always have adventures! I tried crabbing when I was younger and thinking maybe I should do it again. Didn't know squidding was a thing! This place seems so nice and with a lot of adventures and activities to do. You have and incredible trips. These activities sound very fun! I am loving the adventure. I can't wait for fishing season. And, the warm-up so that I can get out in nature. Wonderful post! Looks like such a fun adventure. Crabbing looks like so much fun! My family went this past summer and I couldn't go due to school but I'm glad you had tons of fun. That crab looks HUUUUGE by the way!! Crab raking sounds like so much fun! You got me on crab cracking :) It's one of my favorite when I went to Caramoan. Your post makes me wanna fly to the city! Amazing pics! This place looks amazing, I miss summer so much. I want to go to the beach and enjoy a relaxed day, hopefully soon!! Thank you for sharing your tips. I would love to try kayaking. It looks like fun! Great suggestions!!! It looks like you had a lot of fun! Oh woow that's look like so much fun ! Sounds like great activities for vacations. Sea foods are so good should be so amazinf to fish them. Seems like you had a great time over there. I'd love to visit! It looks amazing! You've got some great pics! Great tips, if I ever visit Yorke Peninsula I will definitely do all of these things! These sound like a lot of fun activities. I have been Kayaking before, but in Norway, which means no dolphins and much colder water! It looks like so much fun! I love camping and checking out these beautiful natural places along the coast. So much of it is so untouched and isolated. Es toda una experiencia, cuidado con los cangrejos que pican. Kayaking and camping is one of my favorite things to do while I'm by the beach!! I love these ideas! Crabbing looks like so much fun! This looks so fun! I would love to go fishing! How fun! It looks so beautiful over there! Looks like an adventure! I had no idea you could rake crabs, how cool! I didn't know that you could rake crabs, too! I'd have to try that this summer! I love the picture, it looks sooo nice ! This place looks amazing :)!!! Crab raking sounds interesting and fun! I'd definitely want to do that. I find crab raking so bizarre! Haha I hadn’t even heard of it until this post! 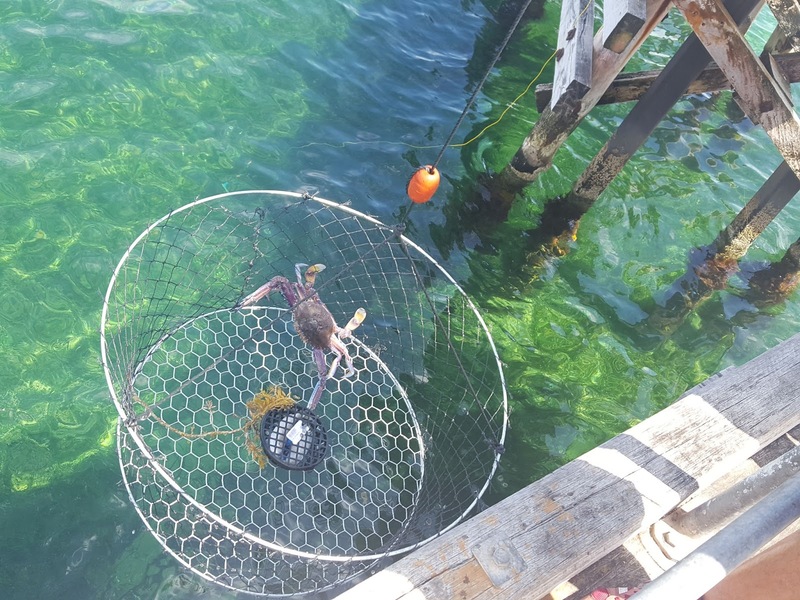 I live in Mandurah on the estuary so we catch crabs here too but with scoop nets. I guess it must be quite similar. Looks like good fun there! I just love kayak, this seems like such a good place for this sport! This looks like SO much fun haha! This place looks like so much fun! I would love to go camping at that national park! It seems you're having a great time hahaha! Nice "must to do" thing's list! Looks like you had a blast! I love kayaking. Wow this is such an adventurous place to visit indeed, especially 2. 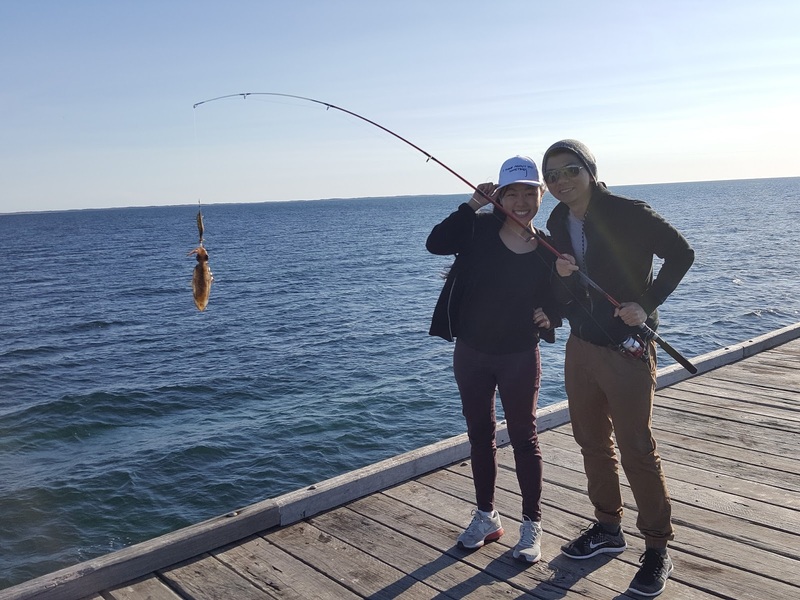 Crabbing at Moonta Bay Jetty sounds very interesting. It looks like a really fun place! :) I love kayaking even though I always end up with my arms hurting like hell. I am so jealous of all your adventures! I am excited to read about your next trip :)! what a great post, the crab is so huge! Looks like you had a great time! Must be so nice to be around water all the time hehe. Looks like you had such an amazing time! Gorgeous photos and thanks for the tips! It shows that you spent a good time in this place, wonderful photos!